The CCW Asia Excellence Awards honour, recognise and promote individuals and teams who have made a commitment to driving superior contact centre performance and customer excellence. The Awards are dedicated to recognising world-class thinking, creativity and execution across the full spectrum of contact centre functions. The Awards are judged by a panel of independent and esteemed contact centre leaders across Asia with vast experience in the industry. Winners will receive the recognition for leadership, vision, innovation and strategic accomplishments within the industry. Entries are scored using pre-determined criteria, with written entries being assessed to provide shortlisted finalists. Winners from each category are identified based on the highest scores. General Questions – Serves as background information to your application. Category Specific Questions - There are a standard set of 5 criteria across all the categories. Each criterion has 100 marks available. All 5 criteria will be used for both the shortlisting of finalists and for scoring written entries by the judging panel. 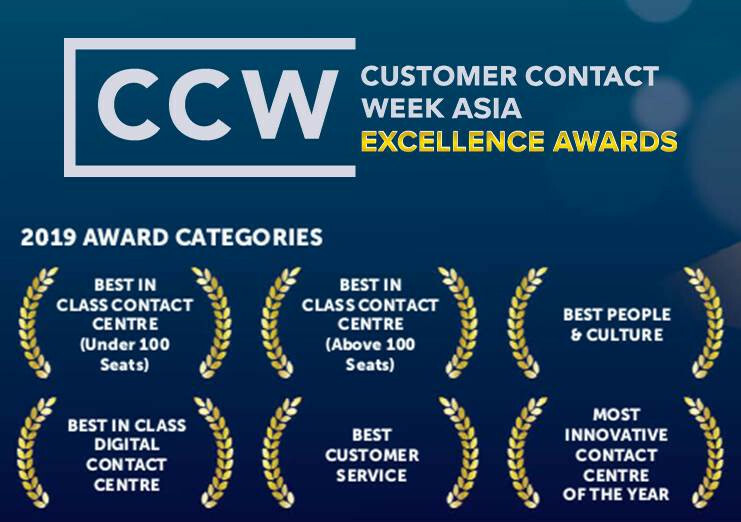 The CCW Asia Excellence Awards 2019 is open to all contact centre initiatives, campaigns or programs which demonstrate results from the period of June 2017 to December 2018. Initiatives or strategies developed and implemented prior to this period are also eligible, provided the results and impact measured during the past year. Organisations from the following regions are eligible: South Asia, Southeast Asia, ANZ, North Asia and Middle East. Organisations must have an office in the eligible region, and work must have been carried out for a regional and/or global market that included any country in that region. Organisations may submit in multiple categories but will be limited to 1 entry per category. Submissions carried out in partnership between organisations are also welcome.